A good day to you, Toons! 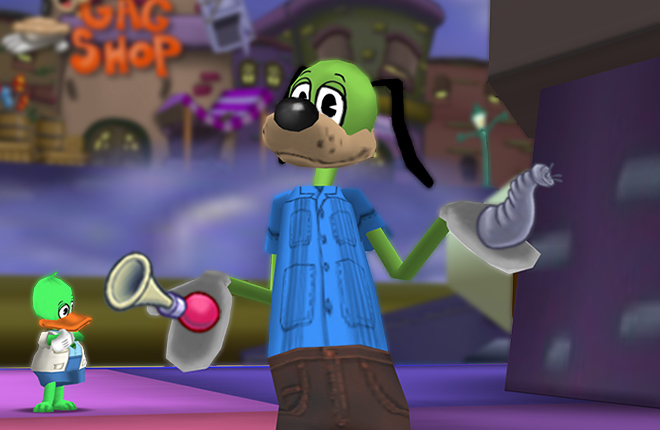 Doctor Surlee here, returning to my work on the Silly Meter in Toon Hall. I apologize for my absence over the past few weeks. I needed some time to think about the past, the present, and even the future. A great deal has happened as of recent! I can tell I returned on a good week, however, because Toontown's silliness is so far off the charts that our predictions are showing an incoming Silly Surge. What's a Silly Surge, you ask? Thanks to April Toons Week, silliness has hit an absolute peak! There's so much silliness in the air that a Silly Surge is doubling all Silly Points and reducing the Silly Meter's cool down time. The other Scientoons have done some preliminary study on this matter, and have predicted that this phenomenon will last until the end of April Toons Week. The Silly Meter is already active again, so get out there and earn as many Silly Points as you can before the Silly Surge ends! In my absence, the other Scientoons have been hard at work, optimizing and tweaking the Meter in the wackiest of ways. Now that the Silly Meter has begun to stabilize, it will require less fine-tuning. However, I did notice a peculiar new button on our Silly Meter analysis tools, one that looked suspiciously like a panda. I pressed it out of curiosity, and lo and behold, Toontown received a major performance boost! As some Toons call it, "much less laggy." I also briefly spoke to Flippy upon my return to Toon Hall, and told me the Toon Troopers have been working on some great things too. For instance, new signs have been added inside of buildings and flickering has been almost entirely eliminated from streets. With all that said, I'd like to thank all of Toontown for making the Silly Meter a reality. 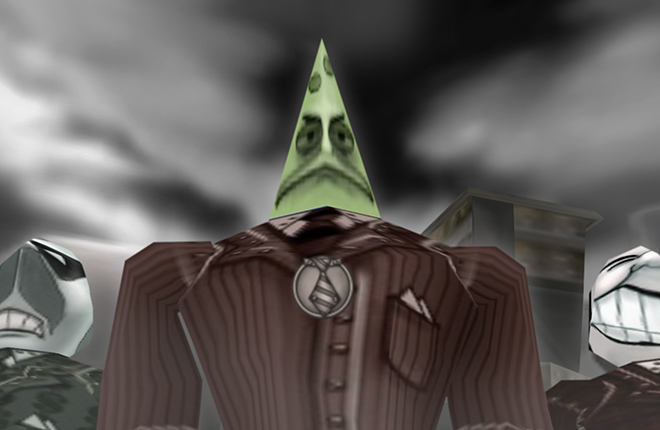 With the help of every Toon in Toontown, we're fighting back the Cogs and increasing the Silly Levels exponentially. In what feels like a lifetime ago, I never could have dreamed of this plan coming to fruition, yet here we are. From the bottom of my heart... Thank you. Have an amazing April Toons Week, everyone! • Engine Upgrade! Toontown Rewritten has been upgraded to Panda3D 1.10, the latest version of the technology which powers Toontown. • Game performance has been significantly improved. Toontown is now smoother than it has ever been, especially on lower end computers! • Decreased loading time when entering new areas. • Fix a common problem related to game settings that would crash the game on startup. • Fixed many miscellaneous crashes throughout the game. • Corrected various typos in ToonTask dialogue. • Updated label of the Shticker Book "Options & Codes" page. • Fixed a bug causing the "Enter" key to stop working after getting a boarding group invite or friend request. • Boarding group invites and friend requests can no longer be accidentally accepted when pressing the "Enter" key. • Implemented additional logging to help us balance various gameplay elements in future updates. • Silliness is off the charts! The Silly Meter will provide double Silly Points and a significantly decreased cool down time for the rest of April Toons Week. • Removed random Toon sounds and effects due to community feedback. Some jokes get old after a few years! 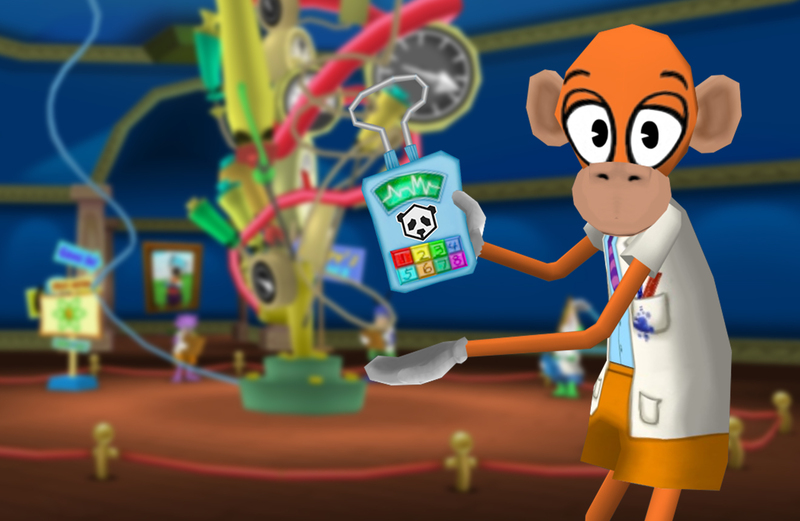 • Doctor Surlee has returned to Toon Hall! • Improved appearance of the Silly Reader's "Inactive" state. • Fixed a bug causing the "Next Silly Cycle" text to fly into the sky. • Added a message to the Silly Stats page when Loony Labs is still calculating Silly Points. • Fixed several street crashes related to animated objects. • Fixed a bug related to the Silly Meter which caused districts to occasionally freeze. • Fixed a server crash related to the Toontorial. • The "Items Recovered" screen at the end of a battle will now display how many of each item was recovered. • The "Items Not Recovered" screen will no longer display items that have already been found. • When walking into a Cog that a Toon has started a battle with, you'll now join the battle with them. • Anti-aliasing is now set to "off" by default on fresh installations of Toontown Rewritten. If you're still experiencing performance issues, we suggest going into the Options Menu and disabling Anti-aliasing. • GUI Animation has been added for almost all in-game pop-ups. This option can be changed on the "Video" tab! • Improved instructions for the Toon Slingshot minigame. • Reduced the volume of the Hype Train furniture item. • Improved Doodle path-finding. They should have an easier time interacting with you at your Estate! • The streets of Toontown have been given a visual pass to improve consistency and accuracy to Toontown Online. • Fixed most cases of texture and sign flickering on building exteriors. • Fixed a longstanding bug that caused certain street signs to disappear. • Restored tunnel and elevator signs for Cog Headquarters. • Restored shop signs on the interior of Toon buildings. This is a feature from Toontown Online that has been missing for years, but has finally returned! Surlee. I know you are trying to act normal and get back on track... But I know a broken mind when I see one. You have gone through something, I know it. Ok , no idea , but it sounds cool! Awesome. Glad to have Surlee back! Beautiful stuff as always, Surlee. Though, it's curious that Fissionton would be the one to leave a most-definitely encrypted note for us. you know, that image in the link looks an awful lot like the windows symbol but with the wrong colors. I love that you guys are paying such great attention to the little details that matter. It makes a big difference! Keep up the great work, and thanks! I think this will make everyone much more comfortable to play TT since the silly meter brought so many people closer. Who doesn't love a good mystery? So many great fixes this week, amazing work Toontown Rewritten team! The colors in the image must match up with the ones on the blog post picture! This means that the numbers 8, 3, 4, and 5 must be important somehow... Hope we solve this mystery soon :0! I'm guessing that puzzle has something to do with new Toon Colors! FINALLY! The flickering is gone! YES! Thank you so much, guys! 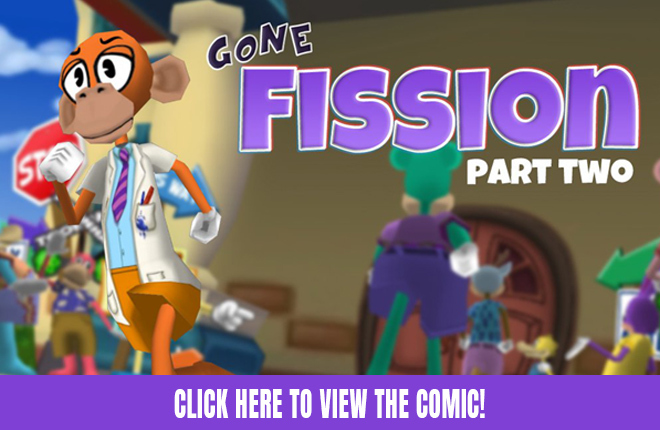 I don't know what the image is, but I thought Doctor Surlee was gone forever with the Fissiontons! WHEW! This update is amazing! Thank you TTR team! Wow! This is a really nice update! I'm actually a little sad that the effects have been taken away from April Toon's Week, that's one of my favorite parts! Wait, Performace Upgrades & Visual Upgrades? HECK YEA!!!!! Thank you SO much for this update, TTR team! I really love the signs in buildings, the not-flickering cog building floor count signs, and especially the performance improvements! Hope to see more of this good content soon! I think the image has something to do with the cog headquarters, or cogs in general. The Purple is the sellbots, dark periwinkle/blue would be the Lawbots, green is obviously cashbots, an--- oh....huh, maybe I was wrong... theres no brown. So I don't know what that aqua color means. 8, 7, 5, 4? Hmm what could that possibly mean? I understand the reason for removing the Toon sounds & effects. However, I personally really enjoyed the random sounds and effects! I wish we could choose to have those on/off.....oooh! OR somehow get a way to purchase (with jellybeans) one of the effects permanently for our Toons from the Cattlelog! They could have a category in the accessory chest, so that we can switch out effects or have no effect on our toon. Of course, it would mean taking out the tasks for the effects.....but I never really do those tasks because all 4 of my task slots are taken up. The only "Just for fun!" tasks I usually do are for clothing tickets because I like putting outfits together. Although, to be honest, I would much rather be able to buy cool new clothes in the clothing stores. Aw, I kinda liked the random "cheesy effects" and toon voices. Honestly, I love the update and the improvements. Way better, I'd love to help contribute monthly if I could by some sort of membership! 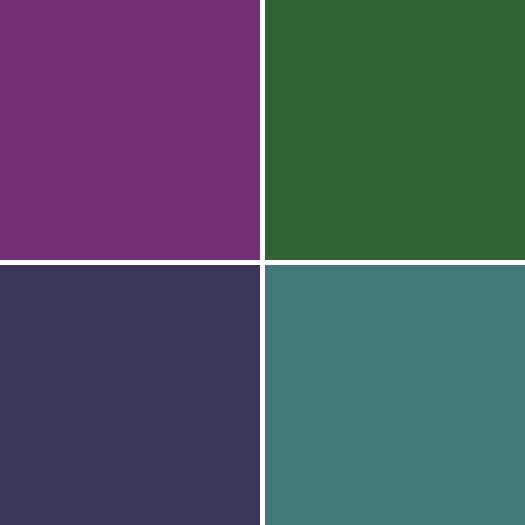 I'm not good at ARGs whatsoever, but the linked image looks like the colors of Purrview, Dimm, Prepostera, and Fumbdound. Definitely looking forward to whatever it is, though. Could this be one more ARG for us to solve, or maybe just a fun puzzle? Either way, welcome back Surlee! Okay, notice the colors of the picture. It is obviously the colors of a Minecraft zombie. Now notice that the picture is obviously the windows logo. The puzzle is trying to tell us that toons under the windows version of the game are actually zombies! I know what surlee has been through, you know the fissington'S look at the s! They were anomalies, they got erased as the rewrite was glitched, they were one of the anomalies. Haha! This fixes so much! You guys are really showing your a-game! Great job, ttr team, can't wait for what you have in store! You've surlee made Toontown a better place, Doctor. Maybe the image could be apart of something with the silly meter in the future or it could be a clue in an upcoming event in TTR, but it now gives us a mysterious to go solve which makes the games even more fun to play now. That was a lot of bug fixes! Thanks team! April Fools and Silly Week are the best! Hoping for new codes. Thank goodness you guys finally fixed the creating a new toon glitch! Nice to hear that you all at the TTR team are still working hard at making this game as silly as it can! Whoa! THIS IS AMAZING, TOONTOWN! This seems TOON-TASTIC! I Want to try this! I think that's a dance floor..